Our Parish office maintains a number of pamphlets and information brochures which provide further information about our church and the services we provide to the community. We invite you to download these pamphlets from this website and study them prior to discussing your specific needs with our office staff or Rector. Naturally all situations are different and within the overall policies of our parish we seek to accommodate individual needs and wishes. Our Church is open to all. If you feel after a period of time that we can satisfy your spiritual needs you can register as a member of our parish. We provide an online form for this purpose that you can use if you wish. At this time you may wish to consider pledging a part of your income so that the Church can continue to function and witness God's glory. Can my child be baptized at Holy Trinity? Yes we baptize the infant children from Christian families. However the sacrament of baptism involves the parents and godparents in making certain promises that should not be undertaken lightly. Parents are expected to undergo a course of Christian instruction and preparation. Can I be married at Holy Trinity? 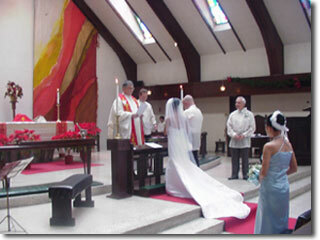 Have Your Wedding at Holy Trinity! Can I arrange a funeral service through Holy Trinity? 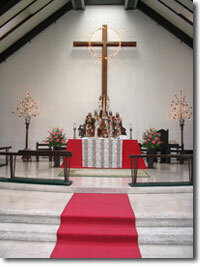 Holy Trinity provides a worthy setting for the celebration of the life, death and resurrection of Christians. Located near major hotels and restaurants, we offer a beautiful building and ample parking. In addition, we have our own, beautiful columbarium [see separate listing] for the reverent preservation of the ashes of loved ones. Contact our office for further information and columbarium rates. Can I arrange burial at Holy Trinity? 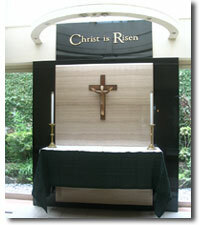 The Church of the Holy Trinity has maintained its own columbarium for more than fifty years for those who wish to have their ashes interred in hallowed ground. 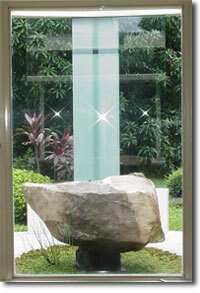 Please refer to our separate web page relating to the Columbarium and how niches may be preserved.